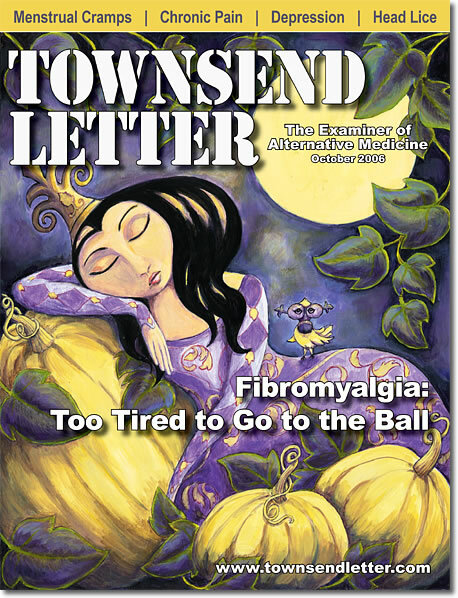 Originally published in October 2006 issue of the Townsend Letter, with new edits made in September 2017. Click here for a PDF of the original. The attention that urine-testing companies have drawn to the importance of amino acid therapy for neurotransmitter restoration has been of great value, especially in light of our nation’s epidemic rates of depression, anxiety, insomnia, and carbohydrate addiction. By introducing clinicians to the extraordinary ability of targeted amino acid supplements to quickly reverse these conditions, thus preventing or arresting degenerative illnesses such as diabetes, as well as provide safe alternatives to antidepressant drugs, these companies have performed a vital service. Unfortunately, urine testing itself can pose problems that confuse and discourage some practitioners and their patients. The purpose of this article is to describe some of the problems associated with urine testing and to offer suggestions for improving the neurotransmitter assessment and restoration process. Since 1988, our holistic outpatient clinic in Marin County, California, staffed by psychotherapists, nutritionists, and physicians, has been treating neurotransmitter (NT) deficiency conditions such as depression, anxiety, insomnia, eating disorders, and chemical dependencies, mostly without benefit of any laboratory testing. We have been able to achieve remarkable results without lab testing because, by the end of the 1980s, hundreds of studies had been published identifying the deficiency symptoms of serotonin and several other important neurotransmitters. From the results of these studies we have been able to create reliable symptom inventories for each neurotransmitter. We have then tested the accuracy of the inventories by providing the indicated amino acid precursors. We have consistently observed that the specific deficiency symptoms of the targeted NT quickly disappear, typically within 20 minutes of the client’s ingesting of the appropriate amino acid. We have continued to fine-tune our inventories as new studies have appeared and our clinical trialing and observation have confirmed their validity. The neurotransmitters whose levels we’ve found it most clinically important to evaluate and optimize are: serotonin, the catecholamines (norepinephrine, adrenalin, and dopamine), GABA, and endorphin. The importance of measuring neurotransmitter levels to identify symptoms of their deficiency (and adequacy) was recognized by the early 1980s and testing was aggressively developed, primarily for evaluating the effects of antidepressant drugs. Most of these studies focused on serotonin and the catecholamines (especially norepinephrine). Many studies used what was, and is still, considered to be the gold standard for NT testing: cerebrospinal fluid (CSF). Many other studies used blood platelet (BP) testing. Their findings seemed to agree. Although CSF testing provides the actual NT levels available in the brain, for obvious reasons it is seldom used outside of research settings. Blood platelet levels of serotonin and the catecholamines have long been known to be reliable neurotransmitter indicators, but no studies formally comparing these two methods with each other or with urine or blood plasma levels had been done until recently. 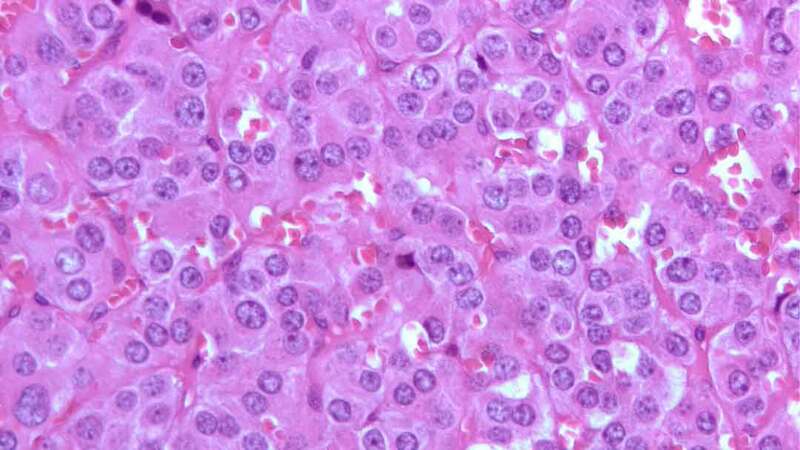 Note: Plasma testing is often used to track the dramatic increases in serotonin that can result from malignant (carcinoid) tumors that secrete large amounts of NT. Plasma measures seem to be somewhat less accurate generally. We received a call from the lab about the very low serotonin levels (they’d triple-checked) found in the plasma of one of our clients. They said that we were the only people testing serotonin who were concerned that levels might be too low. We have found plasma levels of GABA and endorphin to be almost always excessively high and unrelated to symptoms. We do not order it now. Published1 in 2005, a formal study of 18 human subjects compared the levels of serotonin and the catecholamines found in CSF, BP, urine, and plasma. The study was performed by Tappan Audhya, PhD., Professor of Nutritional Biochemistry at New York University Medical School and Director of the Vitamin Diagnostics Laboratory in Cliffwood Beach, New Jersey. At Vitamin Diagnostics, Dr. Audhya’s staff conducts blood, urine, and saliva testing of all kinds. Dr. Audhya performed this study to verify which of his laboratory’s neurotransmitter testing methods worked best. His lab is the only one I know of that has the technology to test for blood platelet levels of neurotransmitters outside of a research setting. His study found that blood platelet testing results corresponded very closely to CSF testing results, but that neither urine nor plasma testing results did. He explains that the levels of serotonin and the catecholamines are known to be stable and abundant in the blood platelets, but in blood plasma, the levels of GABA and endorphin are extremely reactive to stress (even the stress of the blood draw!). He also notes that the levels of neurotransmitters in urine vary rapidly in reaction to both stress chemistry and diet-related (especially pH) changes and is therefore too unreliable to use as a clinical guide. As I mentioned earlier, our clinic’s staff is uniquely equipped to evaluate the accuracy of NT testing, as we are well versed in the symptoms of each of the NT deficiency conditions as they have been identified over the years (mostly through CSF and BP testing). For example, we have observed thousands of clients who have had most of the classical symptoms of low serotonin. After consuming the serotonin precursors, 5-HTP or L-tryptophan (along with vitamin B-6 and other cofactors in a high-potency multivitamin complex), our clients report, and we have observed, that specific serotonin deficiency symptoms such as depression, anxiety, panic, insomnia, etc. have been eliminated. This two-part symptom assessment, before-and-after amino acid precursor loading, is the only clinically reliable confirmation of the accuracy of any NT testing method. Our staff tried but soon discontinued the use of urine NT testing because deficiency symptoms and test results too often did not correlate clinically. I have since been contacted by many clinicians who have also found the results of urine testing for NT levels too often misleading and the amino acid formulations based on them disappointing. Yet with many patients the urine testing results and the recommended supplements can be very helpful. This inconsistency seems to be due to the unique problems inherent in the use of urine as the testing medium. Senesco, the newest of the urine NT testing and treatment entities, has attempted to offset these problems by recommending, along with every test result reported, that the clinician interpreting and acting on the test results do so in the light of the NT deficiency symptom picture. Although our clinic no longer uses urine testing, we have had a number of clients who had already had this testing done prior to coming to us. We have had five clients come to our clinic in the past six months with significant neurotransmitter deficiency symptoms that went untreated or were badly exacerbated by the recommendations made by lab personnel as documented in the practitioners’ reports that these clients brought with them to our clinic. Most of them improved markedly on symptom-based treatment within a few days. In one case, intractable insomnia and anxiety were direct consequences of urine testing results that indicated that norepinephrine and adrenaline levels needed to be raised, and the highly stimulating supplements that were recommended as a result. The client in this case was an athlete in his forties with high energy, but chronically overstressed and a poor sleeper. His initial symptoms clearly indicated that he should have been given calming nutrients, not the stimulating amino acid L-tyrosine. In fact his treatment with L-tyrosine, which went on for months, made him much worse. When he got to us, his insomnia and anxiety levels were severe. He could barely function. His doctor finally had to suggest gamma hydroxybutyrate (GHB) to get him adequate sleep, but his mood improved immediately once he was taken off the L-tyrosine and given L-tryptophan. GABA and L-taurine instead. In another case, urine testing again resulted in recommendations of L-tyrosine, plus another stimulating compound containing the appetite-suppressant macuna bean. These nutrients were given to an extremely tense, anxious woman in her fifties who had had sporadic, easily managed post-surgery pain for several years but no history of low energy or weight problems. After several few months on these supplements, her tension level and resulting pain increase had become so severe and unremitting, and her mood so deteriorated, that she arrived at our office on a fentanyl patch, in tears. She improved overnight after the removal of all stimulating supplements and the addition of calming amino acids and anti-inflammatory supplements and, later, appropriate osteopathic treatment, acupuncture, and psychotherapy. Tension and irritability were her primary symptoms originally, neither of which indicated the need for stimulating nutrients, but rather the reverse. Another woman in her thirties, after the sudden onset of insomnia and incessant panic attacks following a major trauma, took a urine test that indicated normal serotonin and excessively high GABA levels. She went untreated and she and her family suffered terribly as a result. Several months later, on consulting us, she was given and responded well to 5HTP and GABA supplementation. Her core problem turned out to be hypercortisolemia, which was successfully treated with Seriphos (phosphorylated serine). Note: Elevated cortisol suppresses serotonin activity. 5-HTP can elevate cortisol in some cases. Our most recent case was that of a twenty-two-year-old bulimarexic suffering up to 50 binge and purge episodes a day with almost no food retained. She was close to death from malnutrition (she had recently been taken to the emergency room for intravenous potassium drips several times). She brought in urine test results showing high-normal serotonin levels. As a result, she had never been treated. Yet her mood and thought disorders responded immediately to the L-tryptophan supplied after a NT deficiency symptom assessment. In this case L-tryptophan, not 5-HTP, was preferred because it converts to niacin and other nutrients as well as to serotonin, and this woman was profoundly malnourished. She was eating regularly within 10 days and no longer obsessing about her weight. Note: Bulimics are so well known to be deficient in serotonin that they are frequently used as subjects for research on serotonin depletion. This young woman also benefited enormously from high doses of GABA for some months, yet her urine tests had shown that her GABA levels were high. Regarding GABA: We have found urinary GABA levels to be particularly confusing. Most of the results we’ve seen indicate that GABA, our primary inhibitory, i.e. calming, NT is present in excessive amounts. Yet the individuals tested have often been suffering from stress- burnout and other symptoms of GABA depletion, and have responded strongly to GABA supplementation. They often become relaxed and sleepy within minutes after taking a 100 mg sublingual tablet. We find the common assertion that GABA supplements are not effective because they do not cross the blood-brain barrier, after years of the dramatically successful use of GABA supplementation by our staff and by many other clinicians, quite confounding. I’m not aware of any other lab testing for GABA. Fortunately, a challenge with GABA following symptom evaluation, is usually a very effective assessment and treatment tool. Regarding Endorphin: Much of the research on endorphin deficiency is done indirectly using the drug naltrexone, which blocks endorphin. Urine testing is not available and, because levels in plasma are so exquisitely reactive to stress, a typical blood draw stimulates excessive activity. Fortunately, a DL-Phenylalanine or D-Phenylalanine trial (if low endorphin symptoms are present) typically gives a quick, reliable confirmation that either endorphin levels actually need support or that they do not. Our staff has found that treatment recommendations made by lab testing personnel need to be taken cautiously. Though their suggestions can be helpful, “tech support” staff members, in most cases, are not trained clinicians. We ask for credentials and the sources of treatment recommendations. This is of particular concern when we are urged to follow such suggestions despite initially adverse consequences. In several of the cases I described above, lab personnel insisted that unsuccessful protocols be continued for several months. Our experience is that the benefits of amino acid therapy are quick to appear, if they are going to. Adverse reactions usually persist, and therefore call for the quick discontinuation of the amino acids in question. I am particularly cautious when a lab is also selling treatment products, as most of the urine testing companies do, especially when those products contain the amino acid precursors of counterbalancing neurotransmitters. Several of the urine testing companies sell products combining high doses of L-tyrosine combined with high doses of 5-HTP. L-tyrosine produces stimulation by raising the levels of norepinephrine, adrenalin, and other catecholamines, while 5-HTP can create a relaxing and soporific effect as it is converted into serotonin and melatonin. With clients who are deficient in both neurotransmitters, the combination of the two aminos can work well. If a client is deficient in only one of these neurotransmitters, however, increasing the levels of the counterbalancing neurotransmitter can create new problems. For example, many of our clients are serotonin-deficient but have adequate catecholamine function. Taking L-tyrosine makes them more agitated and sleepless. On the other hand our low-catecholamine clients, e.g., those with attention deficit disorder, find that 5-HTP or L-tryptophan can make them feel spacey or tired. We typically restrict L-tyrosine use to the early part of the day and 5-HTP or Ltryptophan use to the afternoon and evening. Two other considerations: Approximately 15% of the low-serotonin individuals we see do poorly on 5-HTP (but do well on L-tryptophan). Other individuals are very sensitive and need to be started and often maintained at very low doses of 5-HTP and/or L-tyrosine. I recommend that clinicians begin their exploration of amino acid therapy using inexpensive, easily ordered single amino acids so that they can learn how each one impacts patients at varying doses, before considering combination formulations. At our clinic, we start by assessing patients’ symptoms and then treating them with individualized amino acid precursors accordingly. We arrange to have blood platelet testing done at Vitamin Diagnostics when the symptom picture is unclear. In other cases we order testing because we need to provide patients with black and white data (for example, in the cases of pregnant or nursing women for whom single amino acid loading is typically discouraged). Dopamine/ Norepinephrine/ Adrenaline Depression, lack of energy, lack of drive, cravings for caffeine or other stimulants, lack of focus and concentration, A.D.D. Endorphin Very sensitive to emotional or physical pain, cry easily, crave comfort, reward or numbness, “Love” certain foods, drugs, alcohol, or behaviors. 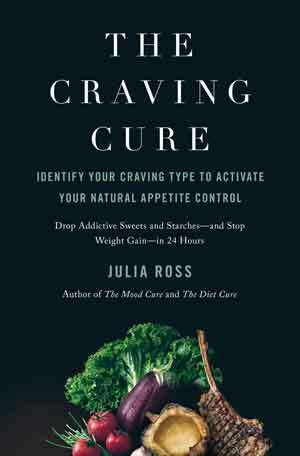 Recommended Reading for guidance on neurotransmitter deficiency symptom assessment and amino acid therapy: The Mood Cure (Penguin, 2004), The Craving Cure (Flatiron, 2017), and The Healing Nutrients Within by Pfeifer, Braverman, et al (Basic Health Publications, third edition, 2003) Ms. Ross has no financial involvement in any neurotransmitter testing laboratory.